Animal welfare is the single largest driver for change in the pork industry world wide and the major focus for consumers has been on the use of sow stalls. We hear a lot about how cruel sow stalls are and that they do not allow the pig any free movement or the ability to turn around and that pigs kept in them live a life of misery and frustration. We applaud companies that announce they will phase out the use of stalls in 2017 or 2025 or whatever the current promise is with little thought about what the alternatives to sow stalls may be. Group housing of pigs seems to be the most common solution but some producers and simply removing the cages but not giving the pigs any real extra room. 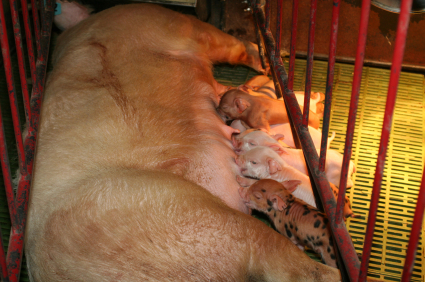 Its not good enough, no pig should have to spend its entire life indoors and we will explain why. Pigs have been around for centuries and have been an important part of human culture. Pigs have defined social status and religion, prevented starvation, replenished nutrient in over farmed soils when agriculture was in its infancy, acted as a living composter and cleaned the streets in early history and helped to colonize the new world. They have always had a close relationship with humans, a union that is not always a comfortable one, but pigs have lived side by side with us for a very long time. Pigs were originally forest dwellers that also frequented nearby grazing lands to forage for food. The pig became domesticated very early on and for centuries farmers still managed them in their forest environment, not contributing to their feed requirements at all because the pig was self sufficient and lived on a diet of grasses, roots, fruits, nuts, lizards, rodents and carrion. The pig did just fine on its own and once a year the farmers would round them up for slaughter only taking what they needed and ensuring that the breeding herd was maintained. These forest dwelling pigs gave birth outdoors and built nests to protect their piglets. They developed communities with close bonds between the animals they cared for and protected their young no matter what sow they belonged to ensuring maximum survival. These instincts were so strong that they are still evident in today's pigs, stifled in housed animals but free to be expressed in free range farms. 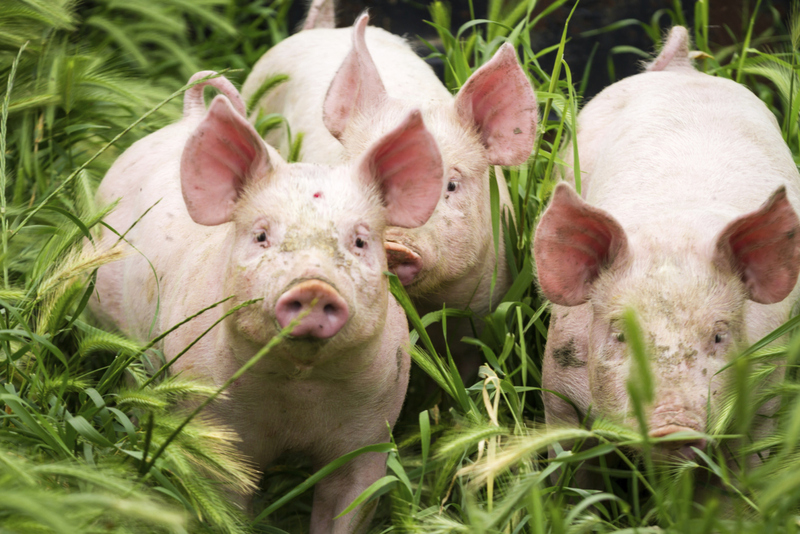 It was the Romans that first discovered that keeping pigs in confinement meant they could control the animals and produce more offspring and more meat. This suited their gluttonous, feasting habit even if the pork was now fat and bland. With the demise of the Roman empire the pigs were once again set free to dwell in the forest and fend for themselves. The Ango-Saxons introduced laws to protect not just pigs, but also their forest grazing land. 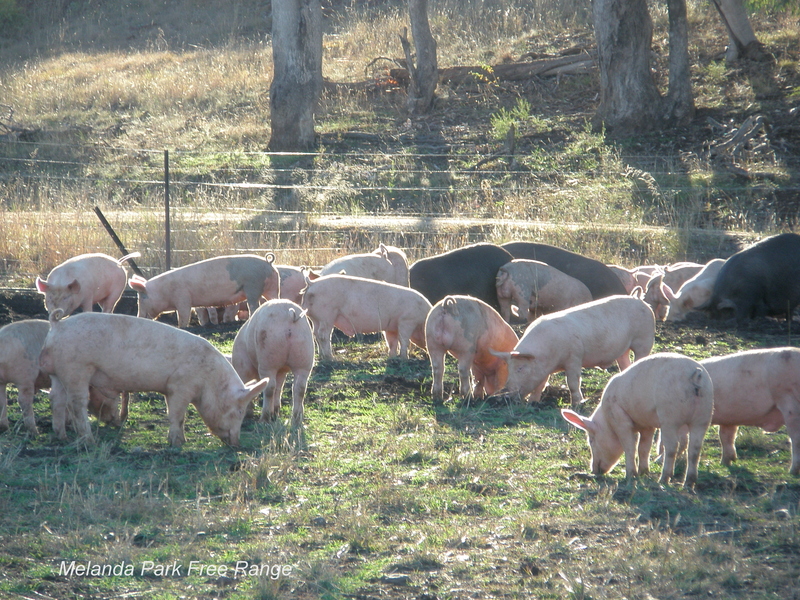 They understood the importance of the pig’s natural habitat in producing the best tasting pork. A forest’s size was often measured by the number of pigs it could support. The physical size of the forest had no bearing on its value, what was important was the number of pigs that it could feed. It wasn't until around 1950 that we revisited keeping pigs intensively indoors and the industrial model of pork production was born. The industrial model makes maximum use of minimum space and labour and coupled with the fact that confined pigs don't exercise and therefore don't need to eat as much and they grow faster, it made good economic sense to confine them to tiny crates and pens. The innate needs of the pig were never considered. So we have taken an intelligent herd animal that was designed to travel to forage in fields and forests, adapted to eat a huge variety of foods and live as part of a herd and sentenced it to a life of confinement were it can rarely even experience sunshine. The intensive industry justifies their actions with claims that sows like sow stalls, that pigs are not ruminants and don't eat grass or that these decisions are science based and should not be questioned by those that are not suitably educated. Its not rocket science, pigs deserve better. They deserve to be raised on pasture. Whoever has really looked into the eye of a shrew old sow should feel humility. Give me my freedom and I will have no troubles, nor will the pigs I feed. Why have we taken a self sufficient pig that will manage its own litter well outdoors if we provide the right conditions and put her behind steel bars?